Why is breaking up the corn kernel so important to starch digestibility? Luiz Ferraretto, assistant professor of livestock nutrition at the University of Florida and speaker at the Silage for Beef 2018 Conference held in June in Nebraska, answered that question and offered additional advice to producers about how to improve the digestibility of their corn silage. The outside shell of a kernel that’s protecting everything inside is called the pericarp, and it's very hard. To illustrate the concept, Ferraretto shared results from a study he participated in while in graduate school. A team of interns collected a three-kernel sample from 300 hybrids held in storage from previous trials that had all been harvested at corn silage maturity but not fermented. Then they pooled all the samples and hand cut each kernel into groups of two, four, eight, 16, 32 or 64 pieces. The corn particles were put into bags and placed inside the rumen of a dairy cow and left from 3 to 24 hours to determine kernel digestibility. Ferraretto also said constant monitoring is required to ensure the kernel processor is consistently breaking up kernels. There are times when producers need to keep plants in the field longer to accumulate more starch. 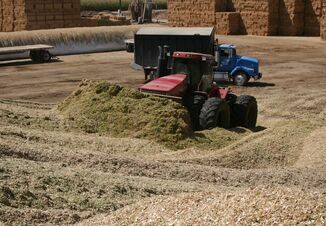 However, harvesting corn silage later raises some potential issues, including poor packing, which may lead to more yeast and mold in the silage, a higher risk to shrinkage due to mycotoxins and, most concerning – lower starch and fiber digestibility levels. 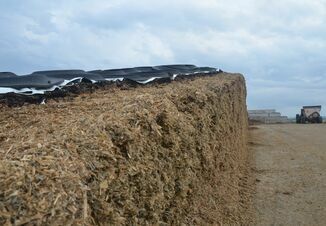 Field research conducted by the University of Florida harvested corn silage from maturities ranging from 30 percent to 45 percent dry matter. The results indicated some variance in NDF while starch increased However, fiber digestibility shows a slow decrease. In measuring milk per ton, the results indicated a decrease while dry matter percentage increased. 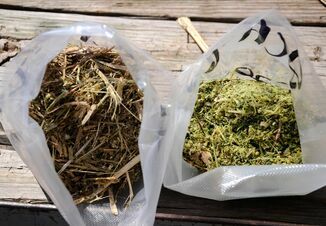 In another group of studies that measured dry matter content in the whole corn silage plant and total starch digestibility in cows that consumed corn silage-based diets, it was clear that if harvesting silage within adequate maturity levels (32 percent to 40 percent DM), expect to have very high levels of starch digestibility because it’s very easy to break up the kernels. While at levels above 40 percent dry matter, starch digestibility is lower and it’s harder to break up all the kernels. The length of corn silage fermentation does have the potential to improve starch digestibility. In a summary of multiple published research trials, the data indicates that for every trial, starch digestibility increases over time as fermentation progresses. The increase in fermentation is greater in the first several months, then digestibility begins to reach a plateau. Ferraretto suggests a fermentation time of around 90 to 120 days before opening to improve the starch digestibility. An extended fermentation time does require proper management, so plan to securely fill, pack and seal the crop. To watch Ferraretto’s full presentation via livestream, click here.